For the third year in a row, the consulting, engineering and testing company P3 communications GmbH and connect magazine teamed up to evaluate the performance and service quality of the UK’s mobile networks. Based on the findings of an extensive and comprehensive series of tests, the 2016 P3 connect Mobile Benchmark UK produced some surprises including two of the candidates achieving exactly the same score. The 2016 P3 connect Mobile Benchmark in the United Kingdom shows clear improvements both in the scores and KPIs of all four UK mobile network operators and produced a tie for the top position. P3‘s network benchmarks are widely accepted as being both highly authoritative and objective. The carefully designed methodology involves drive and walk tests in 13 large cities in the UK, as well as drive tests in smaller towns and along trunk roads and motorways. Great attention to detail includes the use of up-to-date LTE Cat 9 smartphones for the data tests and the use of the most comprehensive mobile plans available from each operator with adaptations to reflect real life conditions. The cities in which we tested accounted for more than 14 million people, or approximately 23% of the UK population. After an extremly close race, EE and Vodafone came joint top, with both competitors achieving 803 out of a possible maximum of 1,000 points. EE scored highly with its very strong data per- formance, while Vodafone achieved the best results in the overall voice category. Vodafone also achieved the biggest improvement on the 2015 scores. Three came third overall and was also third in the individual voice and data disciplines. This operator scored best in the voice tests conducted on connecting roads and also achieved good results in smaller towns. O2 also achieved a considerable improvement in comparison to its 2015 results. The O2 network scores best in the voice tests con- ducted in London and ranks second in the voice category overall, leaving room for impro- vement, particularly in the data category. The most positive outcome of this year‘s mobile benchmark however, is that three out of four operators achieved “good“ ratings – a first in the UK. This is proof not only of the huge efforts the providers took in extending their networks, but is also evidence of the influence of the P3 connect Mobile Benchmark on the development of the country‘s networks. With approximately 30 million customers, EE (formerly Everything Everywhere) is the biggest mobile network operator in the UK. Since January 2016, EE has been part of the British Telecom Group. EE started offering a 4G service in October 2012, that recently surpassed the 12 million subscriber landmark. The operator claims that its 4G coverage today reaches more than 95% of the UK population. The geographic 4G coverage currently is approximately 67%, with an ambition to hit 95% by 2020. EE operates its 4G network both at 1800 MHz and 2600 MHz. Cat 9 has only been activated in Wembley Stadium. Other sites in London, Birmingham and Manchester are to follow in 2016/2017. O2 claims to be the second largest mobile network operator in the UK with approximately 23 million customers. Formerly a subsidiary of British Telecom, O2 plc was purchased by the Spanish telecommunications company Telefónica in 2006. Today, the company also owns half of the mobile virtual network operator Tesco Mobile which operates on the O2 network in the UK. O2 started providing its 4G/ LTE service in August 2013 and has expanded this service across the UK since. In September 2016, O2 claimed to cover over 70% of the UK population with its 4G service, striving to meet a regulatory requirement of covering 98% of the indoor population by the end of 2017. O2 operates its 4G network mainly on 800 MHz with limited additional 1800 MHz coverage in London. Con- centrating on enlarging its 4G footprint, the company does not offer data speeds exceeding 100 Mbps (LTE Cat 3) at the time of writing. Three UK is a subsidiary of Hutchison Whampoa and launched its mobile service in the UK in 2003. As a relatively young operator Three started as a 3G-only network supplemented by 2G via national roaming. In December 2013, Three began to roll out its 4G/LTE service and expanded it rapidly all over the UK. With about 8.8 million customers Three is the smallest mobile network operator in the UK but claims to carry over 40% of the nation‘s data traffic. Offering the cheapest price for 4G and unlimited data plans (excluding tethering) may well support this claim. In addition to 1800 MHz, Three offers 4G also at 800 MHz. Up to now, Three confines its 4G network to LTEC at 3 or a maximum of 100 Mbps. The company claims to cover 98% of the UK‘s population with 3G. 4G coverage is somewhat lower, but should soon reach a comparable spread. 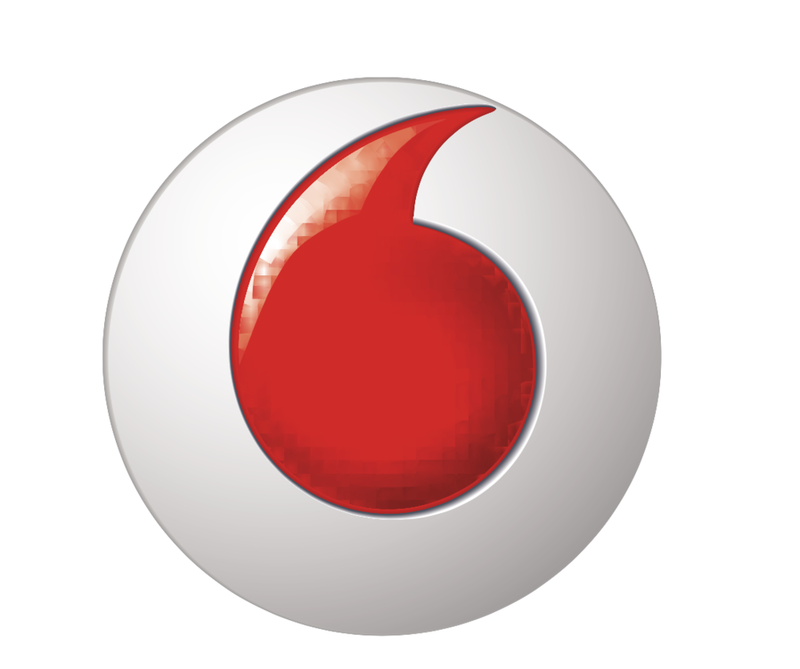 Vodafone UK is part of the Vodafone Group which is also headquartered in the UK. The Vodafone Group owns and operates networks in 21 countries. Vodafone UK launched 4G/LTE in 2013. With around 19.5 million subscribers, Vodafone is the third largest mobile network in the UK after EE and O2. In June 2012, Vodafone and O2 signed a deal to “pool“ their network technologies, creating a single national grid of 18,500 transmitter sites. Both networks however announced they would continue to use their own independent spectrum. Vodafone currently operates 4G/LTE at 800 and 2600 MHz and has started to reframe also some of its 3G spectrum at 2100 MHz to 4G. Under its current 4G+ rollout, Vodafone is preparing to combine up to three frequency bands with “Carrier aggregation“ in high density areas. This technology could provide data rates of up to a maximum of 700 Mbps, with current Cat 9 devices making use of up to 450 Mbps. In 2015’s mobile network benchmark, EE was the clear winner, followed at a distance by Three and Vodafone with O2 in last place. How did these competitors score one year later? P3 communications GmbH, based in Aachen, Germany, is a world leader in mobile network testing. It is part of the P3 group, with over 3,000 employees worldwide and a turnover of more than €300 million. P3 is in partnership with the German telecommunications magazine connect, which has more than 20 years of editorial expertise and is one of the leading test authorities in Europe for telecommunications products and services. in 2014, P3 has also been con- ducting benchmarks in Australia and the UK, expanding its public mobile network benchmarks to cover the Netherlands and Spain last year. In 2015 alone, P3 compiled more than 60,000 measurement hours in 47 countries, with its test vehicles covering more than 750,000 miles. As the de-facto industry standard, the P3 bench- marking methodology focuses on customer-perceived network quality – examining both voice telephony that makes up 40% of the total result as well as data connectivity that accounts for 60% of the score. P3‘s network benchmarks are widely accepted as a completely objective authority. Against this background, it was especially interesting to find out whether the UK carriers were able to improve on last year‘s results, bearing in mind that when compared with other European operators, all UK networks revealed room for improvement. See for yourself how they fared and get ready for some surprises.